Both the boys’ and girls’ golf teams are regional bound! 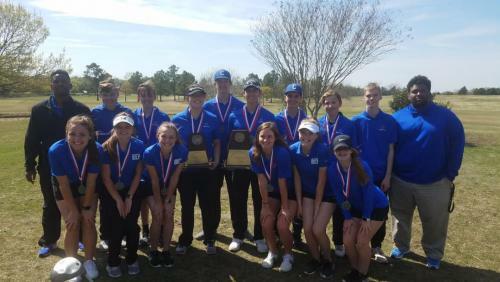 The boys won the golf championship and the girls finished as runner-up! Congratulations to Raegan Sumrow for winning 2nd place in the girls’ competition. 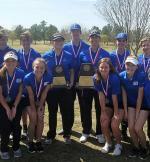 The regional golf tournament will be on April 22-23 at the Old Brickyard Golf Club in Ferris, Texas. There will be a practice round on Sunday, April 21 in Ferris.